Kirby’s Dream Land 2 (AKA 星のカービィ2 Hoshi no Kābī Tsū in Japan) is a classic 2D platform video game developed by HAL Laboratory and published by Nintendo for the Game Boy in 1995. It follows the story of its predecessors, Kirby’s Adventure and Kirby’s Dream Land. The game improved its graphics this time. It has clear animation with elaborate visuals. The added sound effects were great and the new soundtrack adds up to the overall pleasantness of game. Kirby’s Dream Land 2 follows the original gameplay of the series where Kirby overcomes most hazards by inhaling obstructions—whether enemies or items—and spitting them as star-shaped projectiles. Furthermore, Kirby can still shoot electricity, turn into a raging fireball, and float around the levels like a balloon. There are seven worlds in this game. Each world has three to six stages which are all in the form of the usual environments you see in traditional Kirby games—volcanoes, grasslands, and seas. There are also familiar bosses who made their reappearance in this game such as Mr. Frosty and Kracko. The most noticeable change in this game is the addition of Kirby’s animal friends. You can have Rick the Hamster, Kine the Sunfish, and Coo the Owl in your team provided that you first defeat the mini-bosses that guard them. Having these sidekicks brings a great deal of advantages in many stages so spending an extra time to get them is worth it. Also, each level in this game concludes with a mini-game where Kirby can collect some bonus goodies. These include health-refilling treats and extra lives. You will find this feature specially rewarding if you had a hard time finishing a certain level—which is rare. 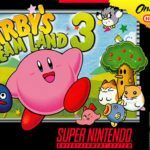 Kirby’s Dream Land 2 is just as easy to play as the other traditional Kirby games. What make it better than its predecessors are its decent graphics and its numerous stages. The power-ups feature also makes it interesting to rerun and experiment with the game several times. But still, there is no way you can get frustrated with this fairly entertaining game. It was followed by Kirby’s Dream Land 3 (SNES). 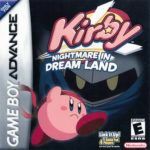 Kirby’s Dream Land 2 game has been ported to Game Boy (this version), and Nintendo Virtual Console (3DS).